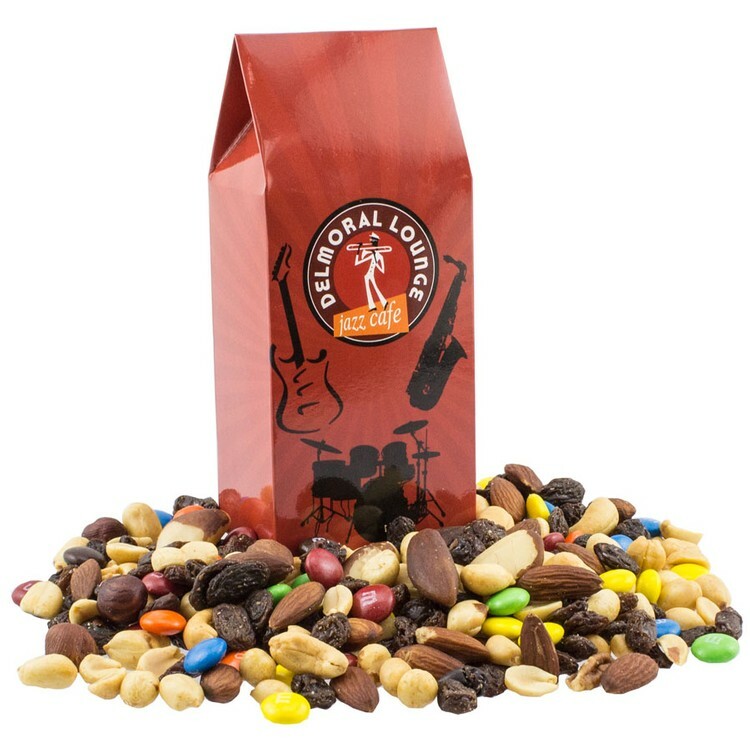 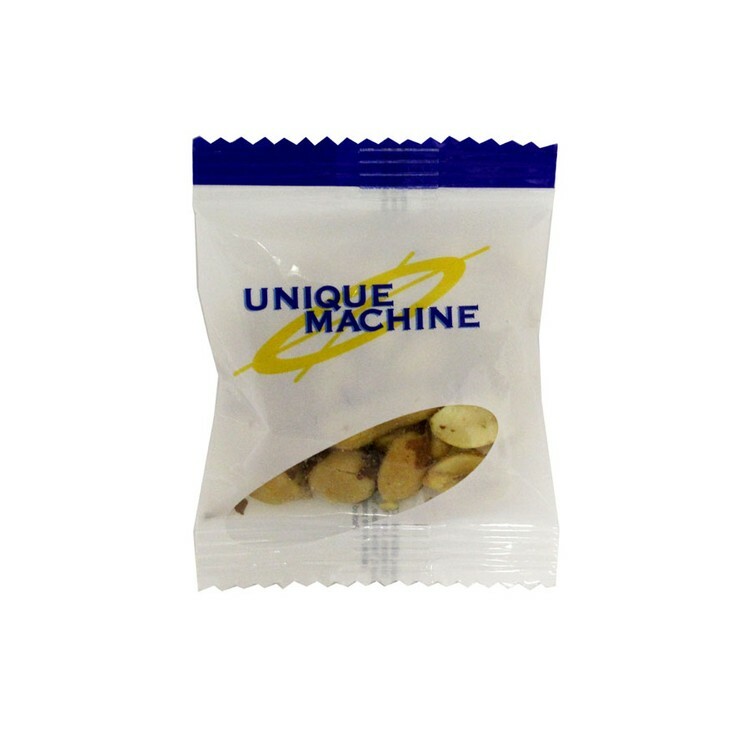 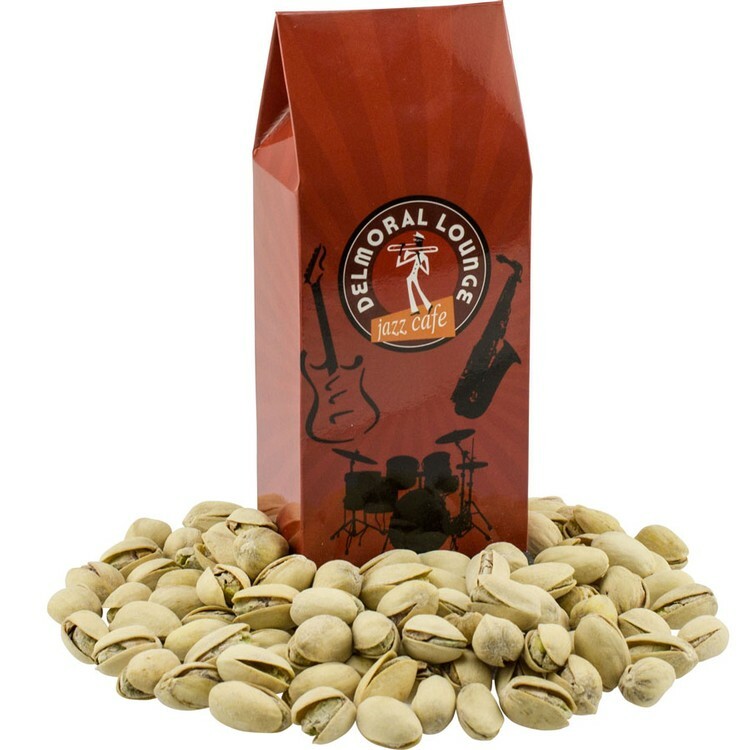 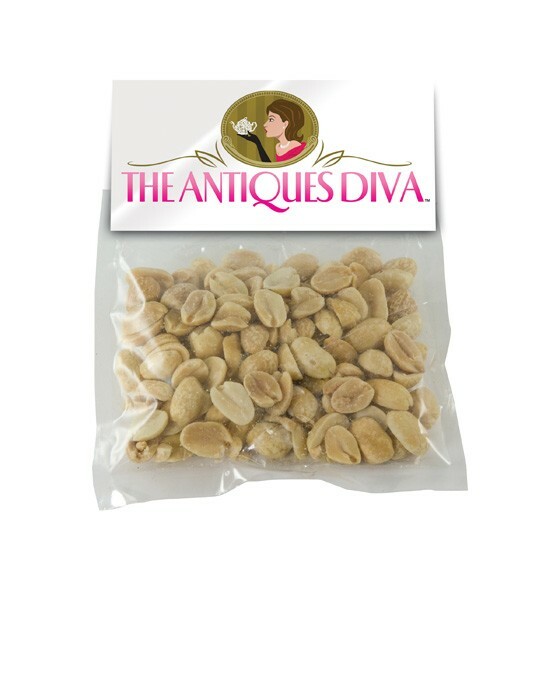 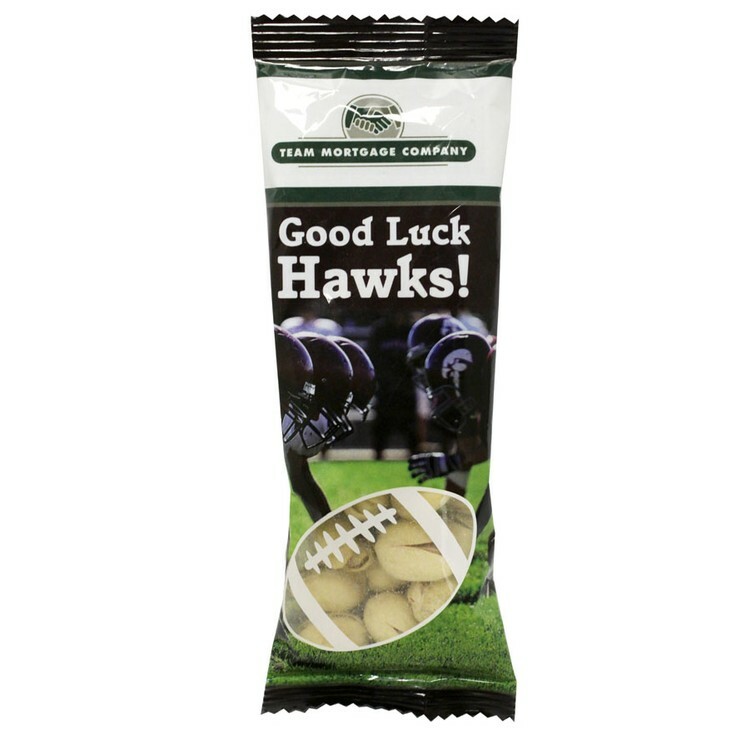 This cellophane bag comes filled with Peanuts, and has a custom laminated header card printed in 4-color process with full-color magazine-quality printing. 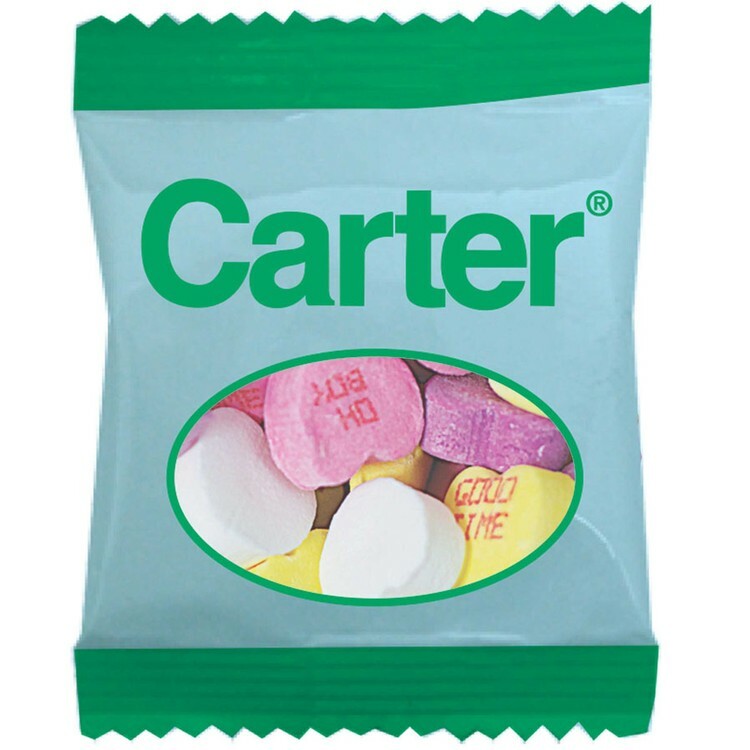 Other fills: Cinnamon Red Hots, Jelly Beans, Gum, Granola, Goldfish, Chex Mix, Tootsie Rolls, Bubble Gum, Jolly Ranchers, Starbursts, Chocolate Littles (M&M-type candy), Candy Hearts, Candy Stars, Starlite Mints, Colored Candy, Animal Crackers, Trail Mix, Almonds, Fruit Mix, Swedish Fish, Chocolate Covered Raisins, Pistachios, Cashews, Corporate Color Program, or Sugar-Free Gum. 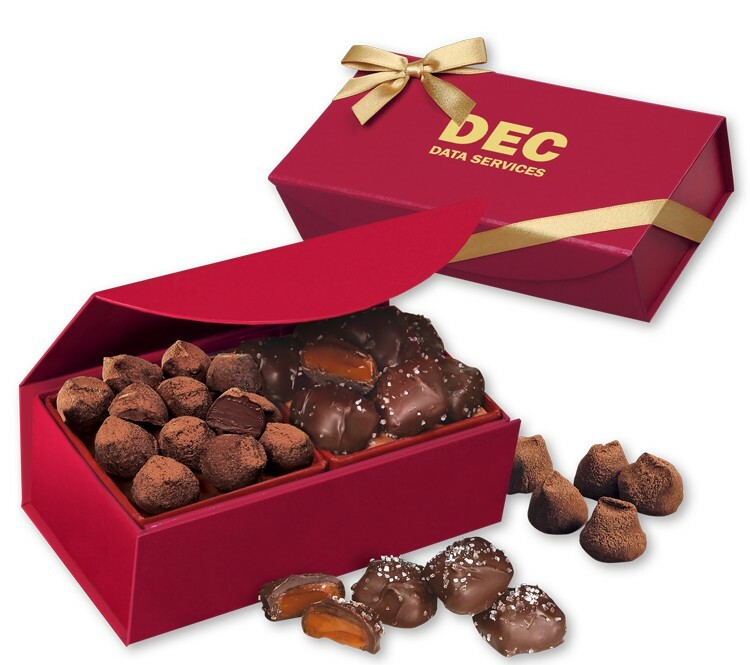 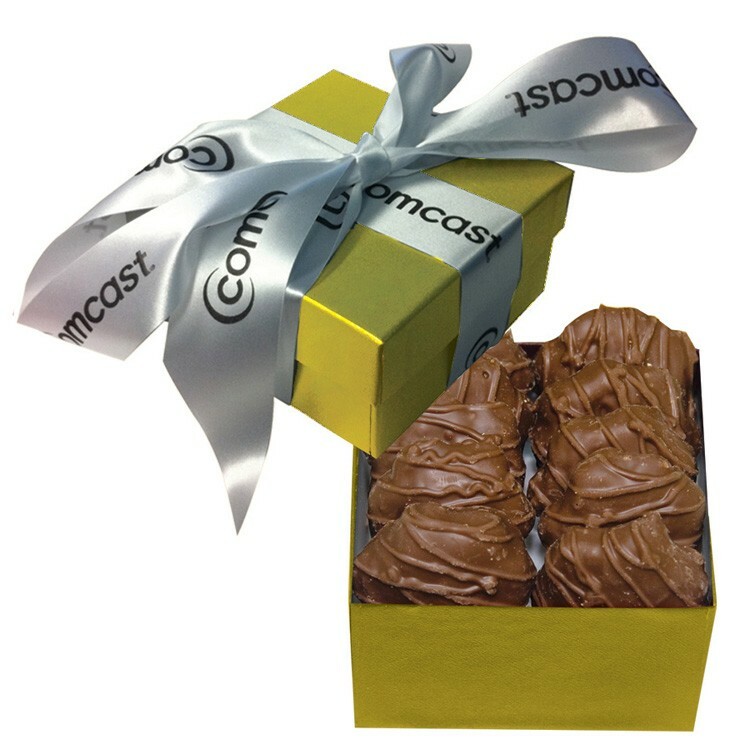 This Classic Gift Box is filled with gourmet Cashew & Caramel Turtles. 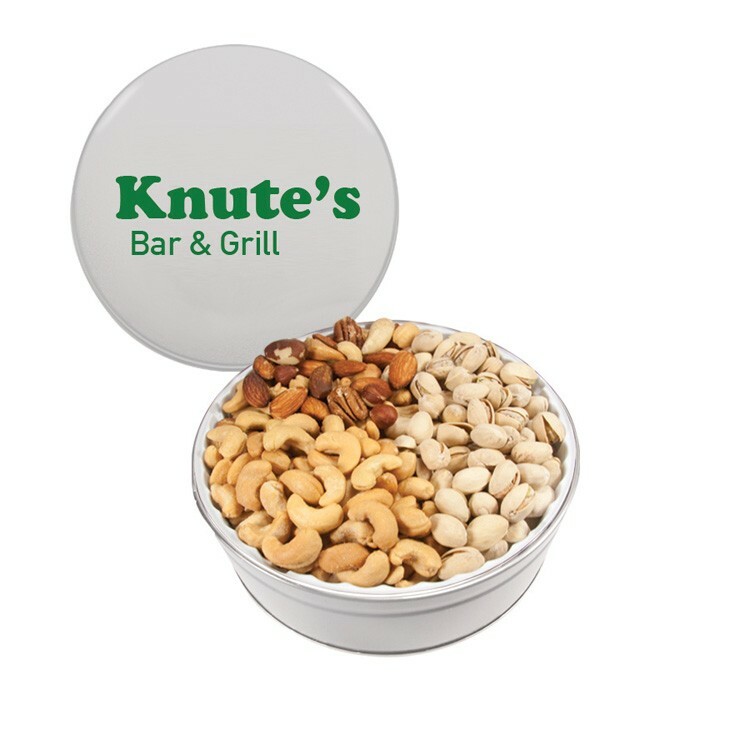 A hot stamp of your logo on the lid makes it the perfect gift. 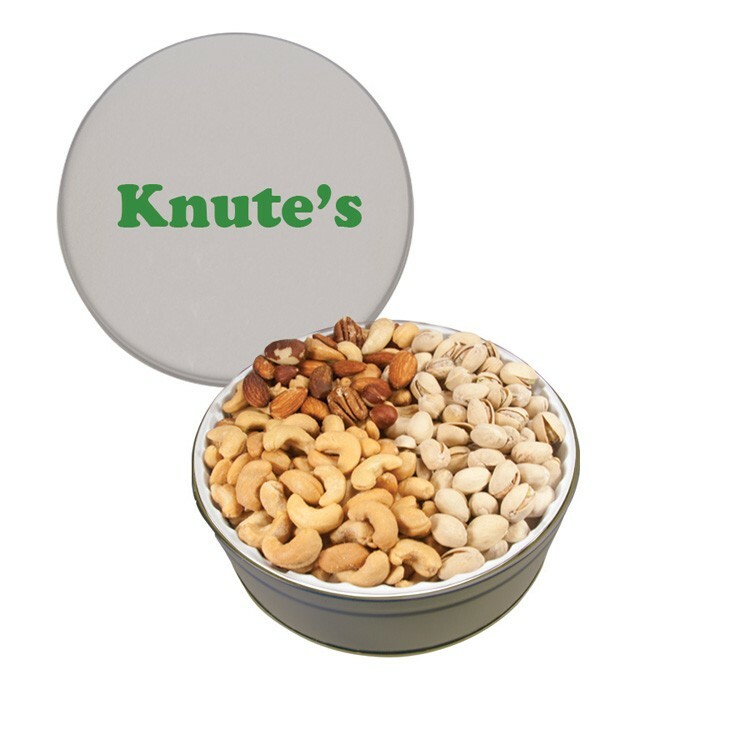 Other fills: Cashews, Pistachios, Chocolate Almonds, Honey Peanuts, Almond Butter Crunch, Cashew and Caramel Turtles, or Mint Lentils. 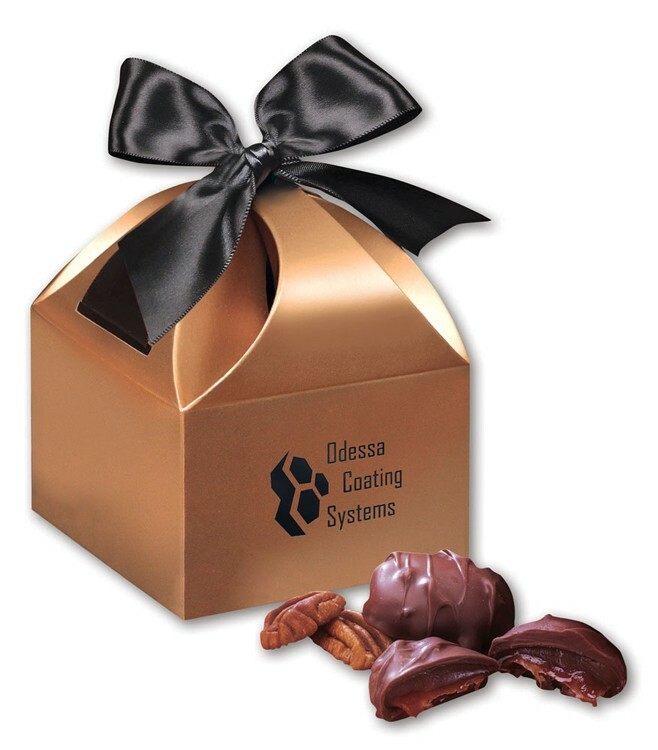 Optional 4 color lid available, please call for details. 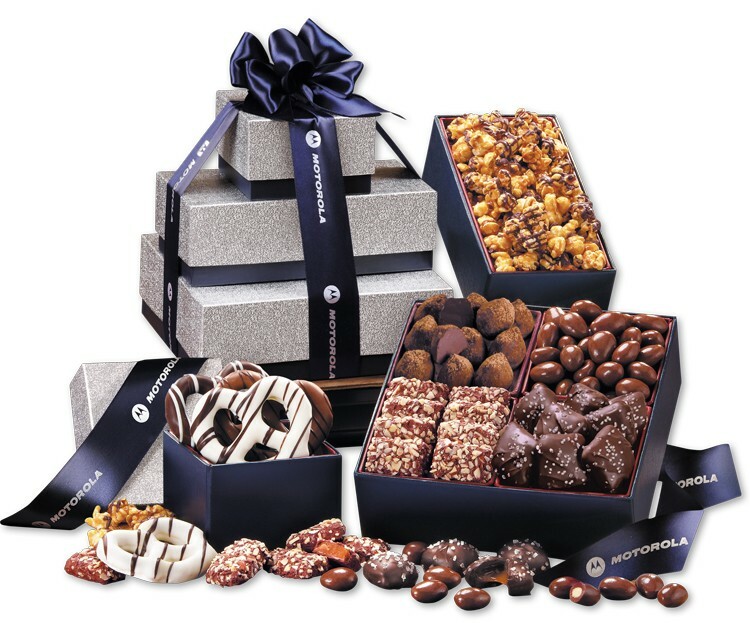 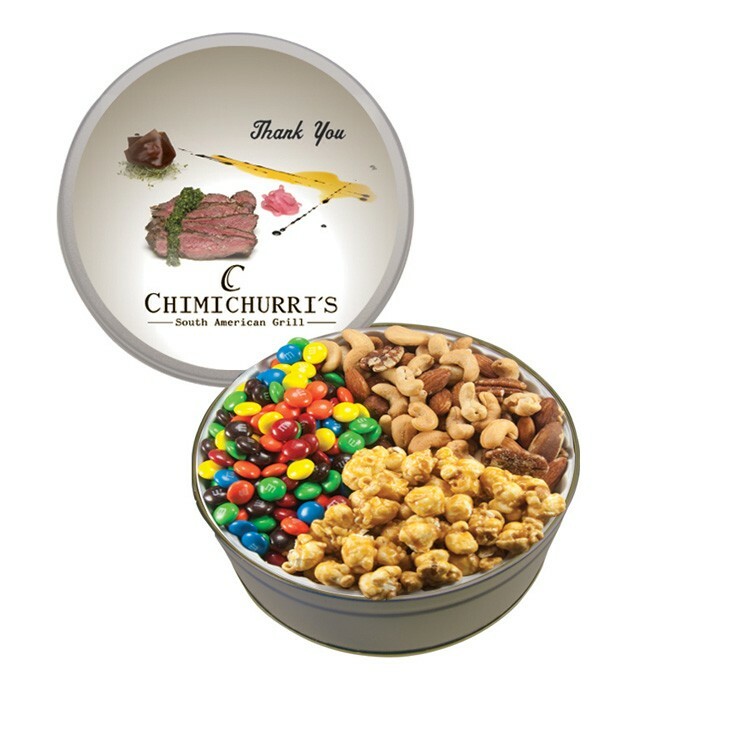 Our large custom gable box with trail mix is a great holiday corporate gourmet food gift. 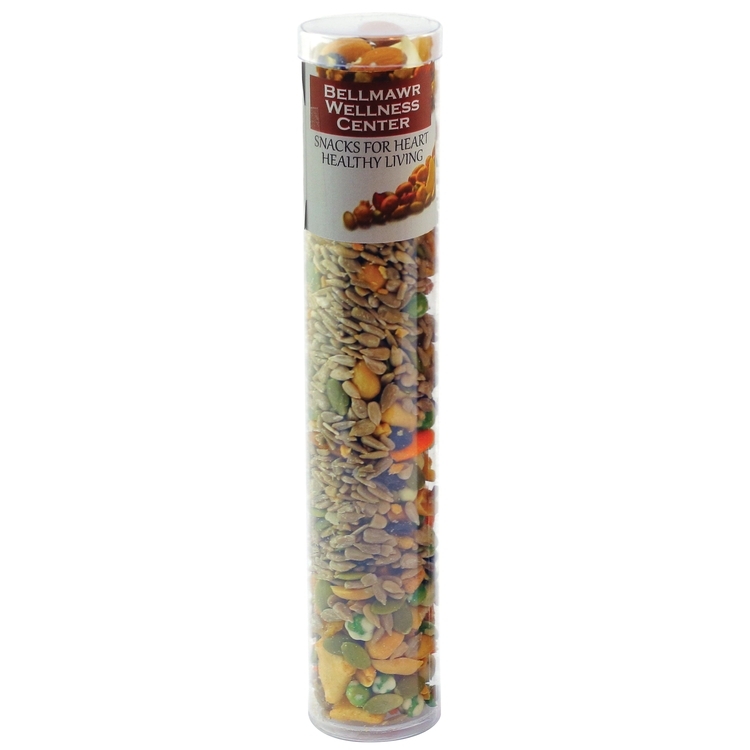 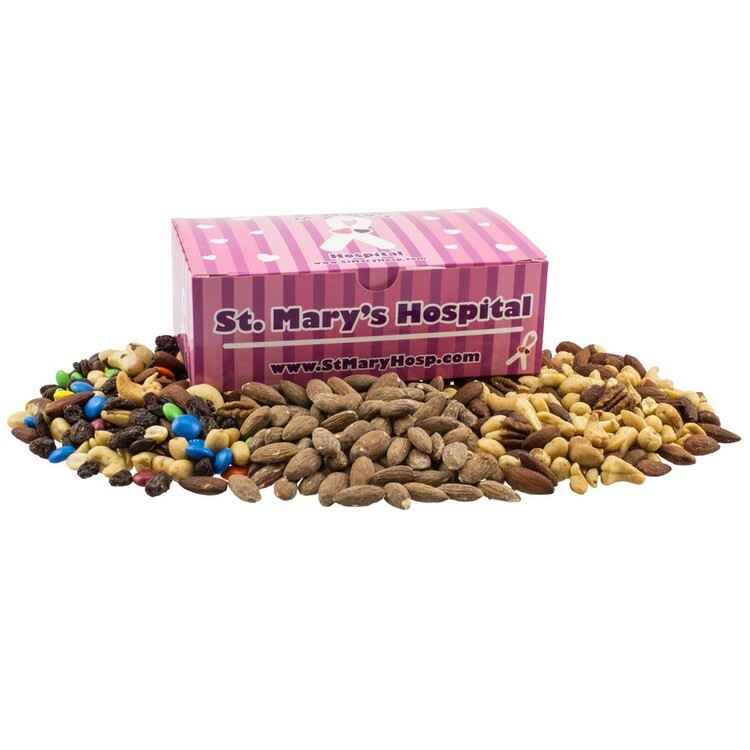 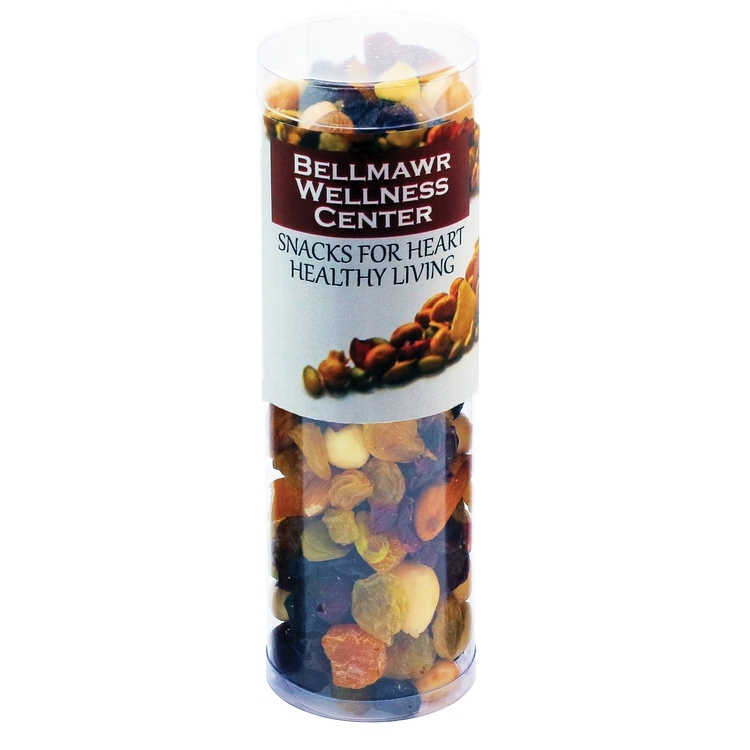 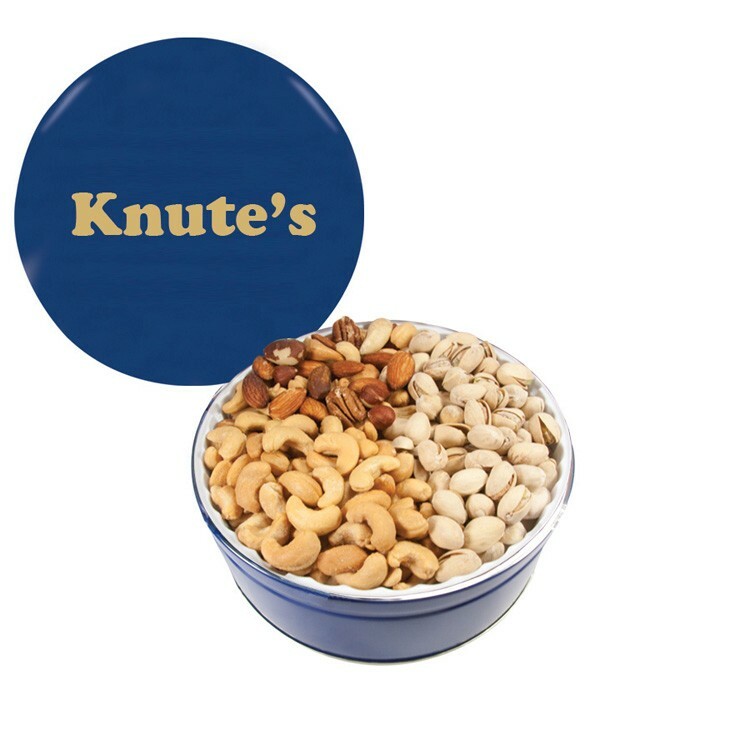 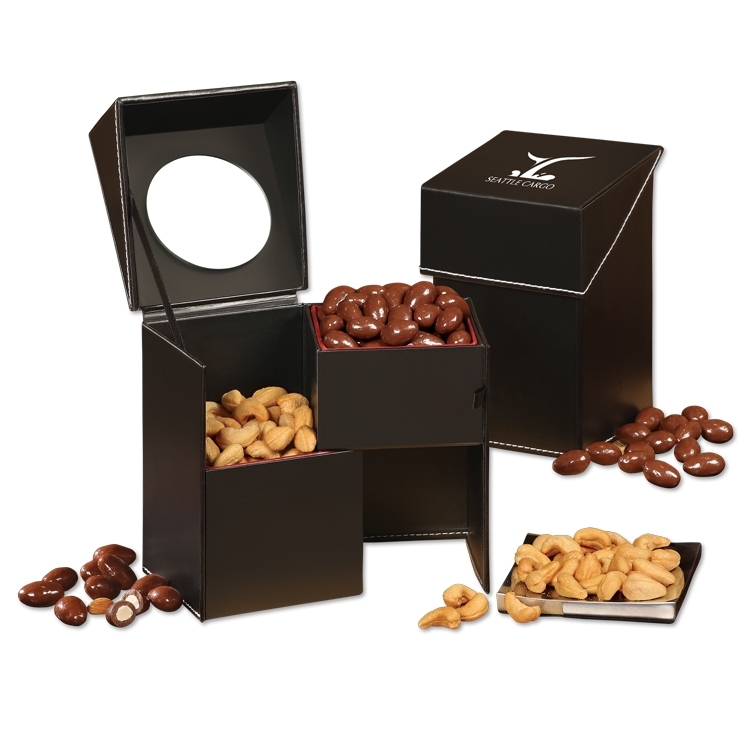 This gable box is filled generously with trail mix in a cellophane bag to satisfy your clients snack tooth. 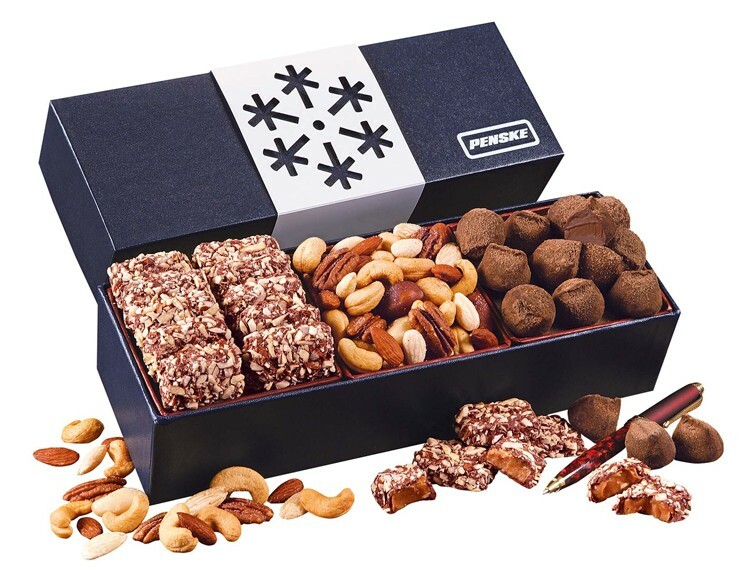 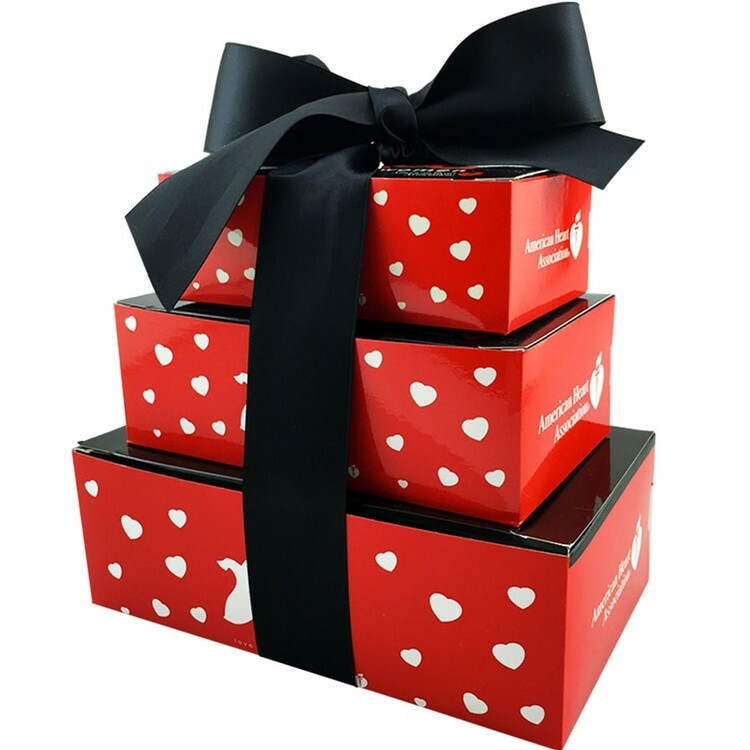 Give your clients a special holiday thank you while promoting your brand on this sharp custom gable box with trail mix. 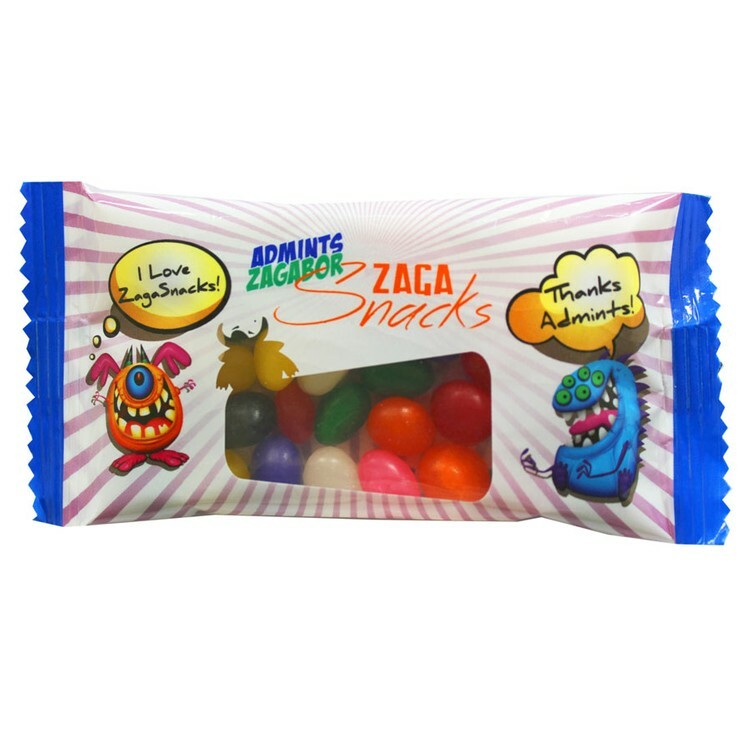 Zagasnack snack promo pack bag with signature peppermints approximately 2 oz. 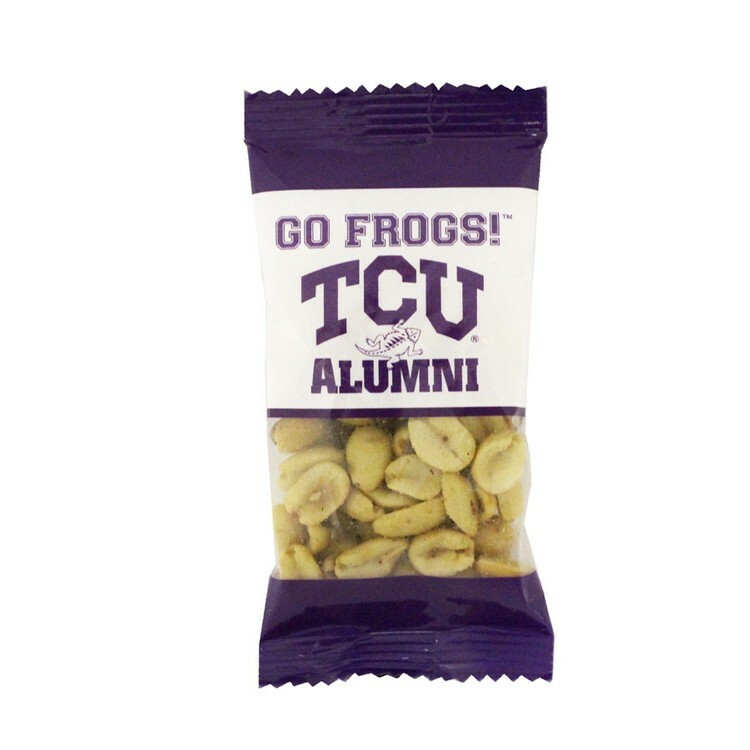 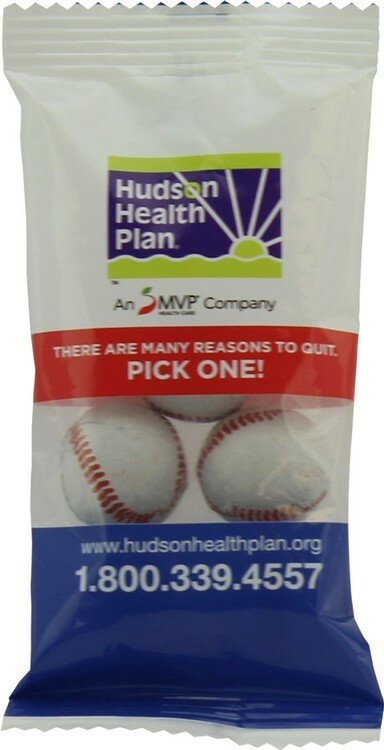 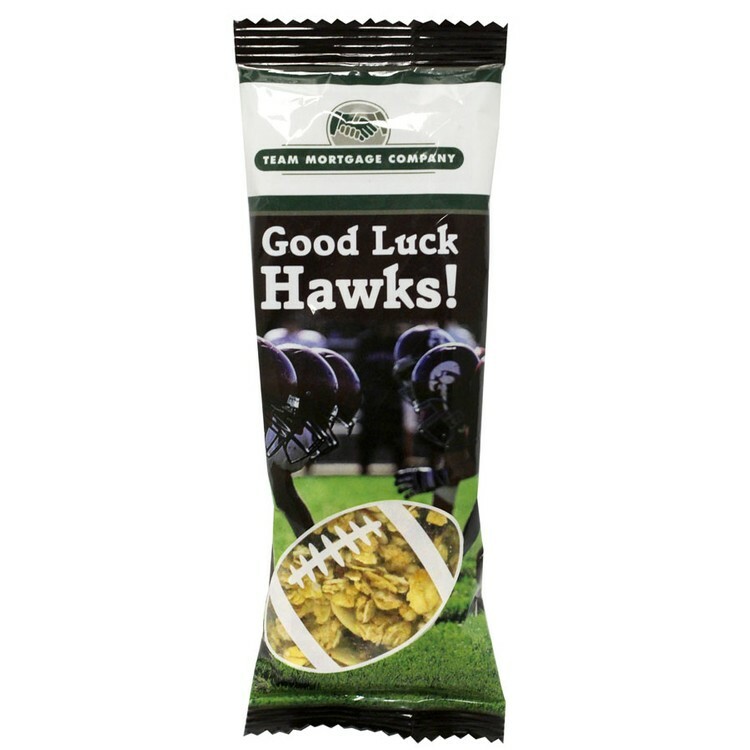 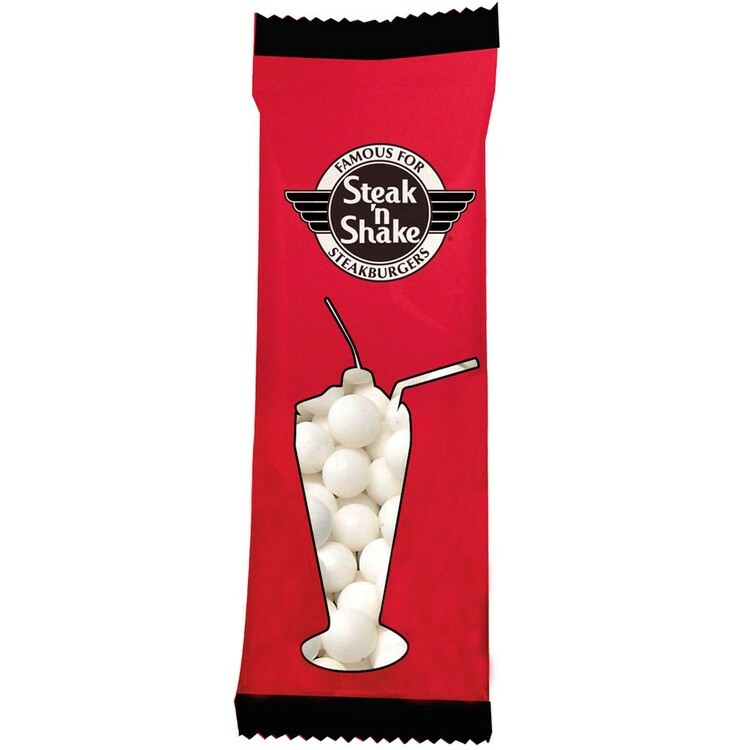 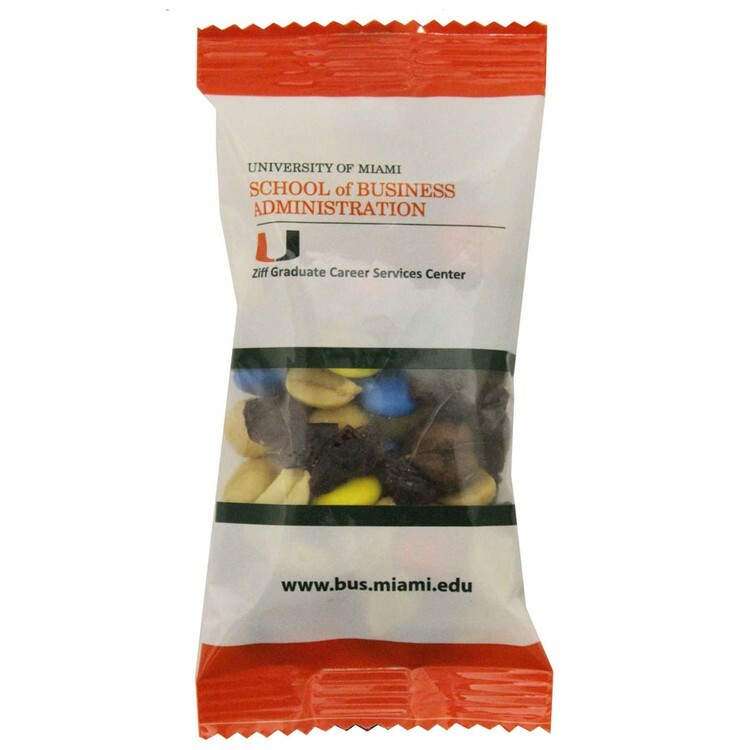 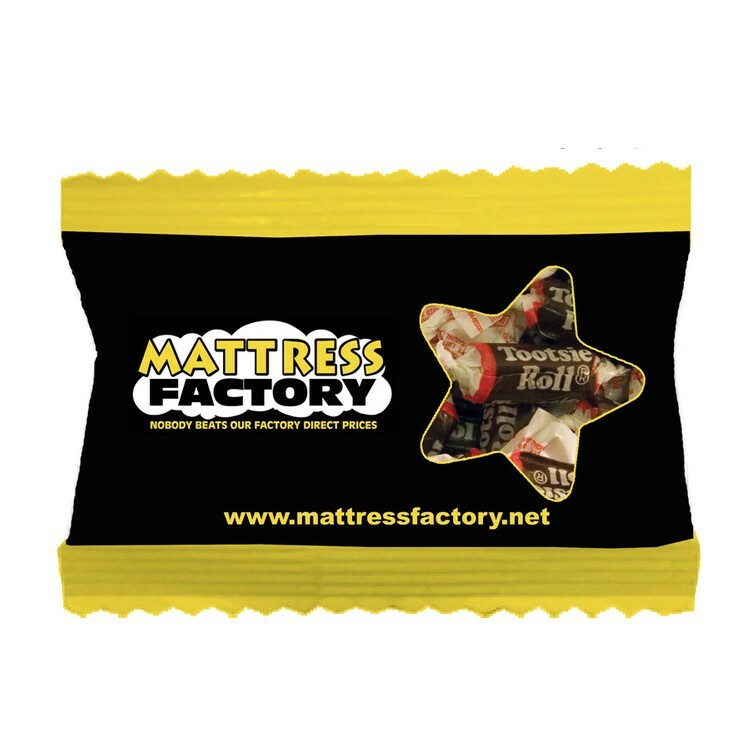 These snack promo pack bag treats will take your brand to the next level with breathtaking four color process graphics. 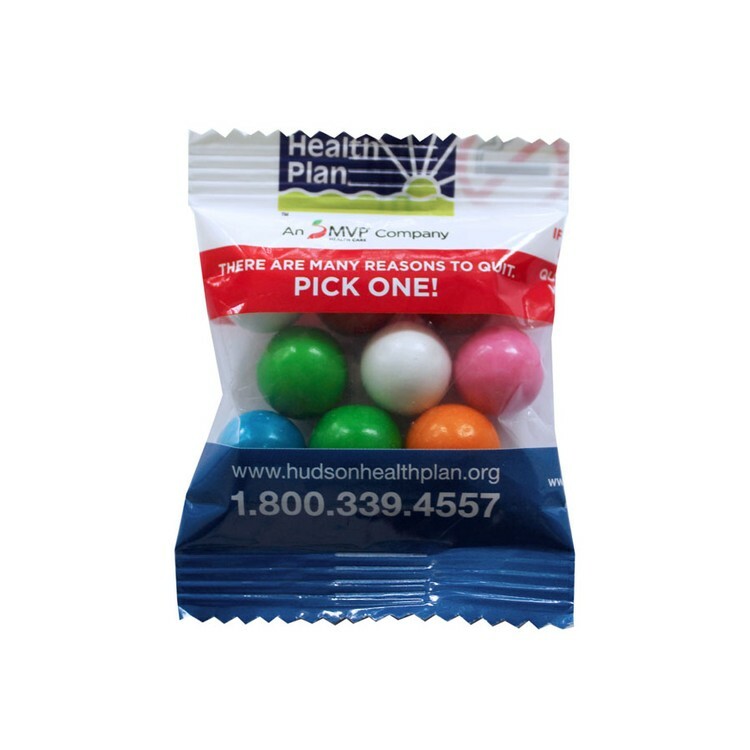 A 7" inch bag filled with signature peppermints which will ensure your clients remember you. 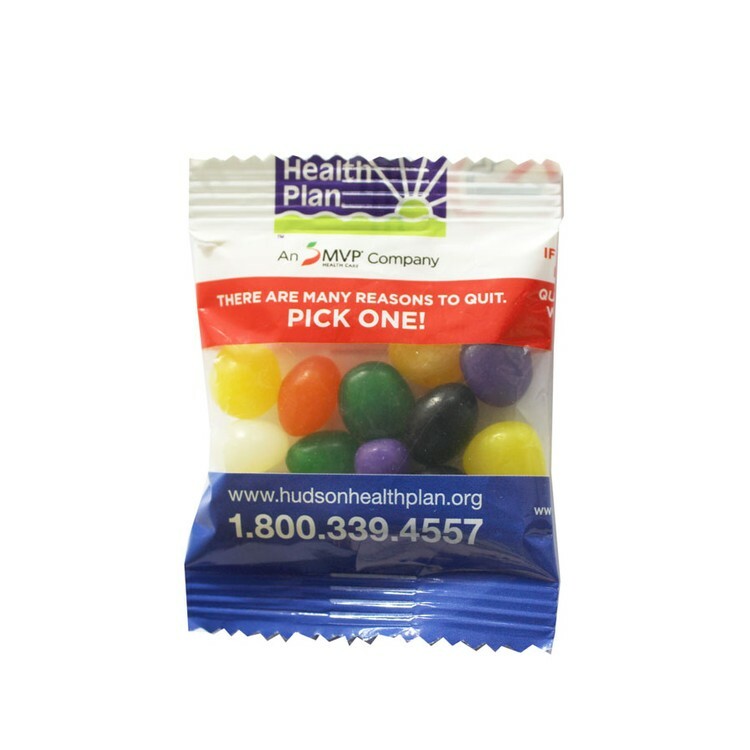 Best signature peppermints, snack pack, snack bag, and promo pack value in the industry. 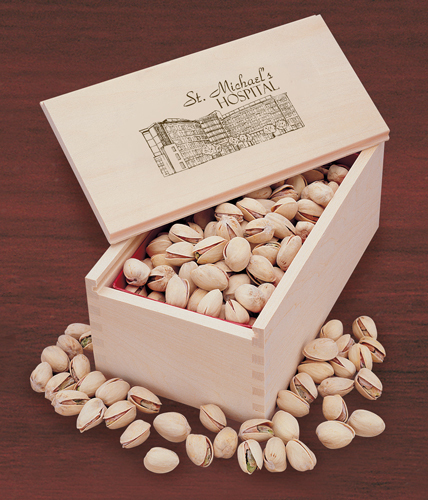 Please call for additional filling options.